Most scratch crafts use paint over crayon but I've found that writing works better with a vibrant paint underneath and the more easily manipulated wax on top. The result is a cute little card that children who can write will enjoy making. 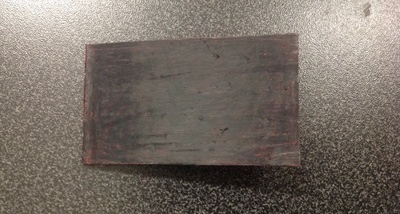 Younger children could also scratch pictures into the oil pastels to reveal the red paint underneath. 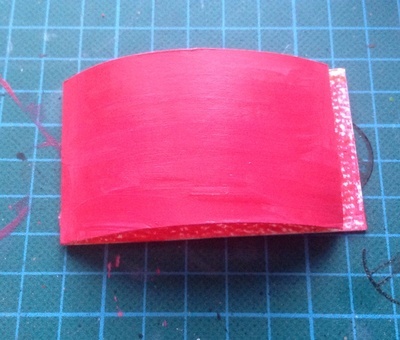 Paint one side of the card completely in the red acrylic paint. Leave to dry. 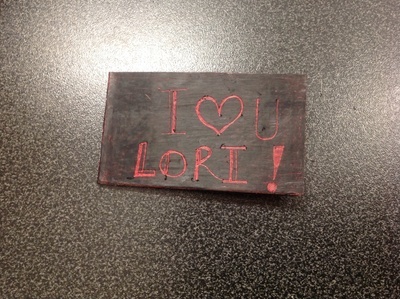 Cover the painted card with a black oil pastel or wax crayon. Oil pastel gives a smooth finish, but wax crayons would also work. 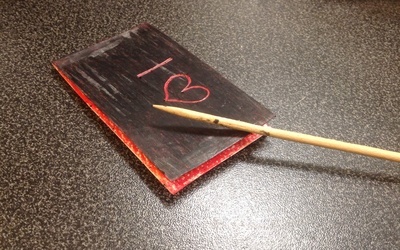 Using the bamboo skewer, gently scratch your message into the card. 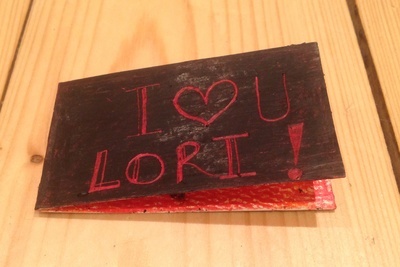 The oil pastel allows finer details than a paint scratch card - you can add calligraphy-like details to the letters.